The new HSK test was launched by Hanban in an effort to better serve Chinese language learners. The test is the result of coordinated efforts by the experts from different disciplines including Chinese language teaching, linguistics, psychology and educational measurement. The new exam combines the advantages of the original HSK while taking intoconsideration the recent trends in Chinese language training by conducting surveys and making use of the latest findings in international language testing. 1) To certify that the holder has acquired the required Chinese Proficiency to enter a Chinese college or university as an undergraduate or graduate student. 2) To certify that the holder can be exempt from taking the Chinese language course depending on the level of certification. 3) As a basis for the employers to evaluate the Chinese proficiency of the job applicants. Hanbridge Mandarin language level was made on the basis of rich teaching experiences. Our course emphasis on oral communication and language survival ability. We pay more attention on your language usage and successful communication in daily life than test. According to the outline of HSK and our teaching experiences, courses were divided into three stages and nine courses here. Our courses linked closely with HSK Test. 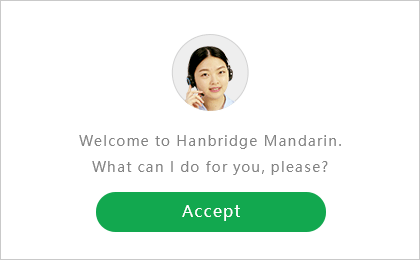 Through learning in Hanbridge Mandarin, you can pass the corresponding test smoothly.